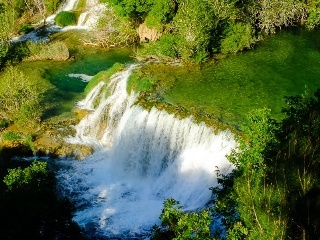 There is no doubt that the Adriatic Sea along Croatia’s coastline is a stunning stretch of water. Throughout the day, the crystal clear seawater ranges in color from cobalt blue to turquoise, varying in intensity depending on sunlight and depth. 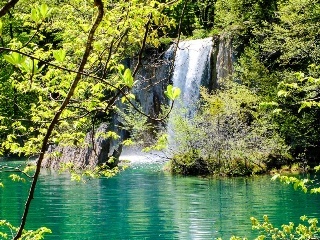 But Croatia’s appealing aqueous beauty isn’t exclusive to the shore. 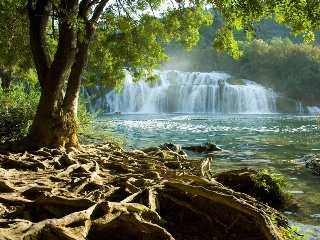 Flowing rivers and teal lakes in the interior of the country have a series of tumbling waterfalls that rival the splendor of the sea, and that is what lures you to Krka National Park. 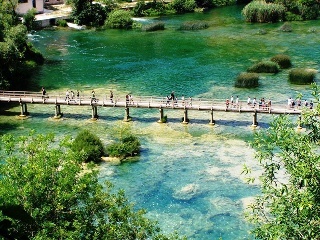 Krka National Park is named after the 75km-long Krka river it practically encompasses. Krka, like Plitvice, is awash in the marvel and miracle of natural travertine. Where the two differ is the degree of interaction with nature. 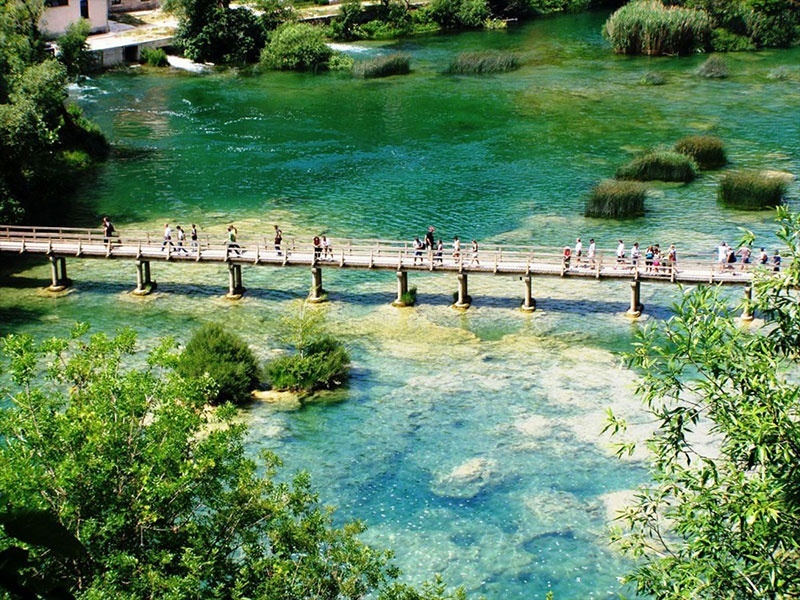 Where Plitvice has sheer wow power, Krka offers hands-on adventure. The falls, created by the phenomenon of naturally-made travertine barriers, are a mesmerizing sight, also museums highlight the culture of the civilizations that once occupied the area, including displays of traditional clothing and tools. A restaurant with a riverside location looks inviting, but if not hungry you can easily pass by and begin your walk over the falls.The water clarity is impeccable; you will see rocks and roots in the shallow pools, long reeds being pulled by the flow and playful fish. 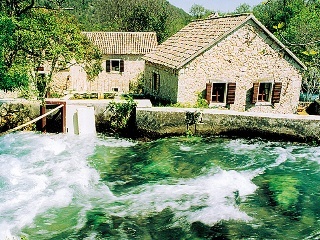 The constant movement of water will be your soundtrack as it poures down on smaller falls toward Skradinski buk. In this fantastic area some parts of the Winnetou movies were filmed. 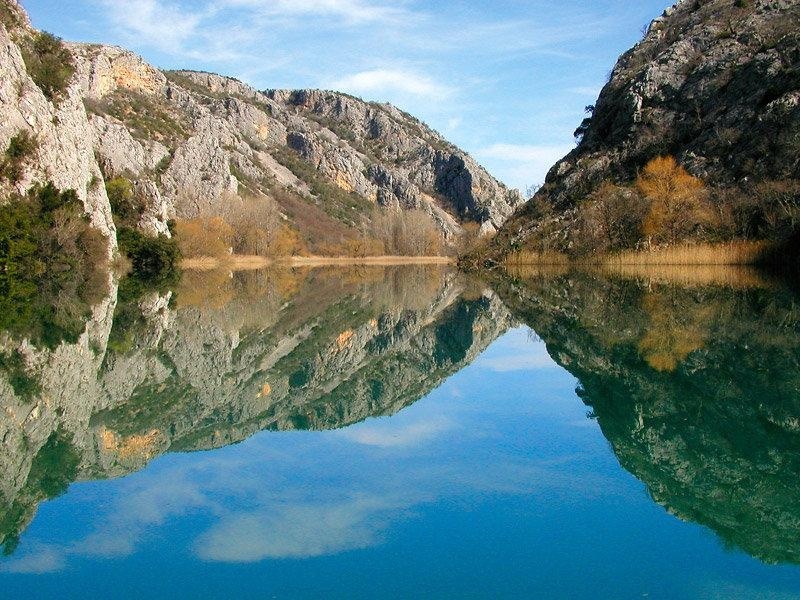 There are many routes that lead through the beautiful countryside of Croatia. 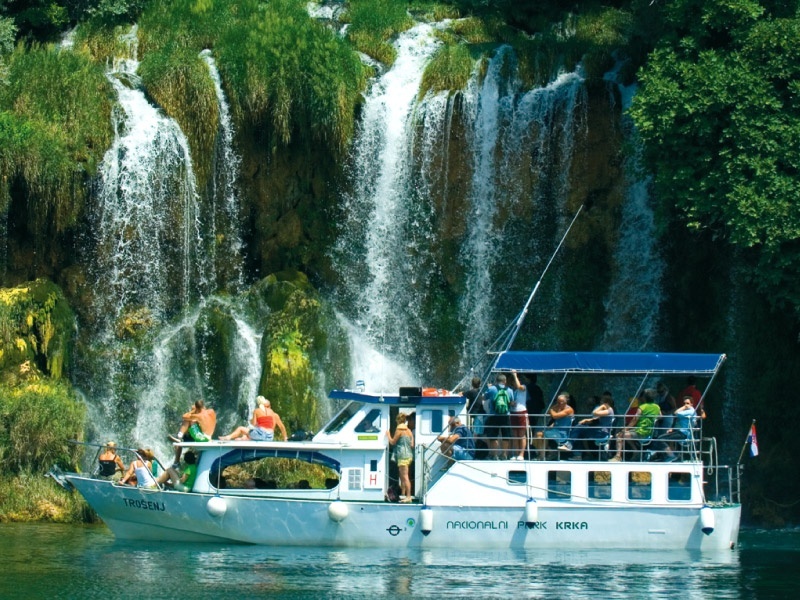 For those who love nature or walking the Krka National Park is a great chance to take a trip.Holidaymakers dip in its pure pools beneath waters crashing down from 45 metres over their heads. 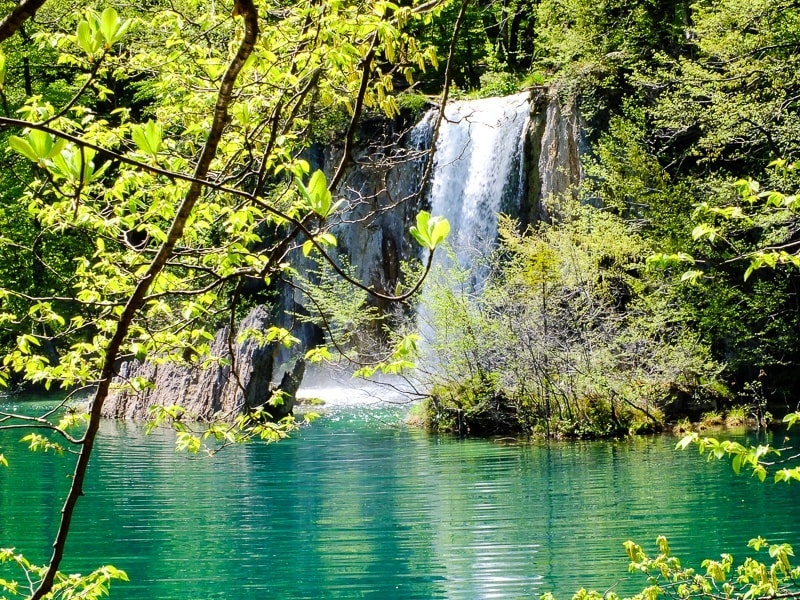 But this key attraction, surrounded by boardwalks for easy access, is only one of many in this most versatile and surprising of Croatia’s eight National Parks. In addition to Krka falls, on our tour we are visiting Old city of Šibenik. Šibenik is swiftly turning into central Dalmatia’s surprise package. The sprawling industrial suburbs, a reminder of its past and significance as a port, camouflage a delightful Old Town. Alleyways and stone steps threaten to lead nowhere but are full of surprises – historic churches and atmospheric squares are tucked around almost every corner, and the golden globe atop the unmissable Cathedral of St James pops up in the distance, over the rooftops, when you least expect it. Don't miss this spectacular one day tour and spice up your travel adventures with this croatian beauties.